Take the reins and feel the adrenalin rush through your veins on a horseback ride at Castle Leslie Equestrian Centre in County Monaghan in Ireland’s Ancient East. This Victorian gem is also home to 1,000 acres of lush countryside, dotted with woodlands and glittering lakes. 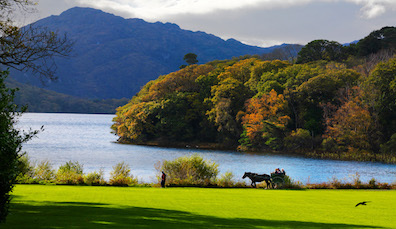 Or let someone else look after that for you: known for its breathtaking beauty, Killarney National Park in County Kerry teems with wildlife and natural wonders, so enjoy the views in a traditional jaunting car. This two-wheeled horse-drawn carriage is steered by a local guide, who will regale you with many a tale from the area, including the story of leprosy on Innishfallen Island. We are an island, so we tend to do a lot of good things around the water… Kayak over the inky waters of Lough Hyne with Atlantic Sea Kayaking in West Cork: this night-time tour on Europe’s only inland salt water lake is home to thousands of bioluminescent plankton, which glow beneath the waters – an amazing sight that sets the lake alight. Prefer something a little less immersive? A cruise along the Fermanagh Lakelands lets you island-hop from a 12th century church on Lower Lough Erne’s White Island to a crumbling monastery on Devenish Island. Of course, if you prefer to jump right in, the glorious Antrim coast allows you to discover wreck-diving as part of the adventure. Go beneath the earth and discover a wonderful subterranean world of hidden caves framed by stalagmites and stalactites. Take a guided boat ride through the Marble Arch Caves UNESCO Global Geopark spanning counties Fermanagh and Cavan, and find yourself in the midst of 650 million years of history, where limestone tunnels give way to cascades of creamy calcite coated walls and shimmering underworld rivers. It’s truly an experience of a lifetime! Commuters, history buffs and those who love living in the lap of luxury can find a railway journey to suit their needs here in Ireland. The Belmond Grand Hibernian has sleeper carriages inspired by Dublin’s Georgian architecture, and can carry you around the island in style. 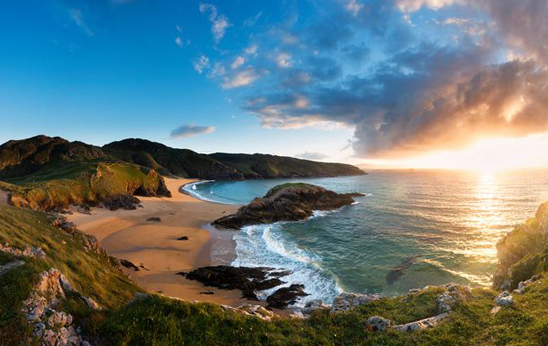 Majestic beauties courtesy of the Causeway Coastal Route, are on the menu, too, along on the Derry~Londonderry to Coleraine route – once described as 'one of the most beautiful rail journeys in the world'. While Dublin’s transit suburban rail (DART) hugs the horse-shoe shaped coastline from north to south of the county and offers vast panoramas of Dublin Bay. Bliss. 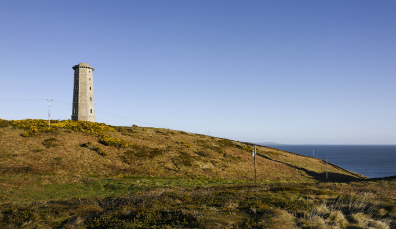 Hop on board the cable car to Cork’s Dursey Island, and this steel capsule will haul you 250m across the Atlantic Ocean below, not to mention stunning views of the Beara Peninsula. Don’t be surprised to find hay sticking out of your seat – this contraption is used for islanders, visitors and even dogs and sheep, to save islanders the hazardous trip across the sound. 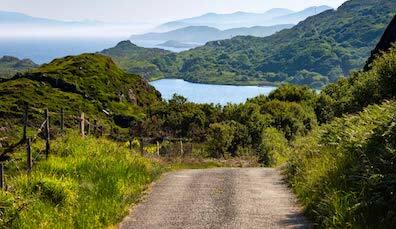 And when you arrive, be sure to check out the ruins of a church, which are said to have been founded by monks from Skellig Michael, a Napoleonic-era old signal tower, and a castle built by O’Sullivan Beara; the last great chieftain of West Cork and the South Kerry area. There’s a serene beauty in the silence experienced as your hot air balloon rises above the land, only broken by the random fiery sound of the burner bringing you further and further from the ground. Landscapes look more green, cows gaze up, locals come out to wave you on, and there’s a raw feeling that this is as close to nature as you could ever hope to get. Irish Balloon Flights take off from three locations in Ireland’s Ancient East – the heritage town of Trim in County Meath, the medieval city of Kilkenny and the waterfront town of Athlone. As experiences go, this is something rather special – and definitely provides views from another perspective.